We love anyone who gives their time or shares their wealth with other people who need it. 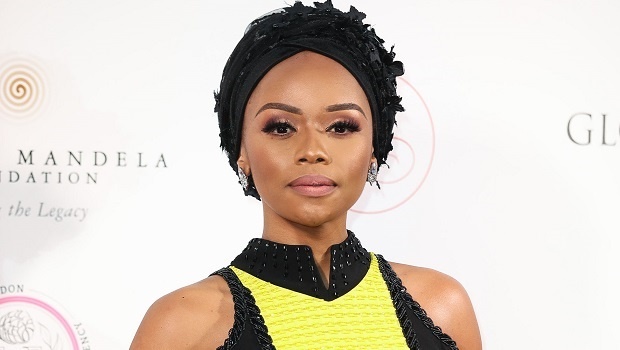 If you thought that the only charitable thing that Bonang Matheba has done was to donate her dresses to lucky matriculants, you might be surprised to know how much bigger her heart is. The 31-year-old media personality recently became the first ever recipient of the 5 For Changemaker Award at this year’s 5 For Change Black Tie Gala event, which took place on 27 October. According to Channel.co.za, the award was “in recognition of her work as the founder of The Bonang Matheba Bursary Fund and for using her platform to advance social justice issues in South Africa and around the world.” But this is only the beginning for Bonang, as she hopes to send a significant number of young girls to university in the years to come. My target is to send 300 girls to university by 2021..... crazy, but possible!! God willing. ?????????? There are a few things that are as heartwarming and as inspiring as witnessing celebrities do good works where they see a need. To commend their big hearts, we've rounded up a few of the countless celebrities who are doing their part for humankind. Businesswoman, Basetsana Kumalo, with her husband Romeo Kumalo, founded an organisation that aims to provide support to orphaned children who have lost their parents to HIV and AIDS. In 2009, the foundation received an Inyathelo Philanthropy Merit Award for its commendable work. Earlier this year, Isibaya actress, Nomzamo Mbatha, travelled to Kakuma, a refugee camp in Kenya to do her part as an ambassador of the United Nations High Commissioner for Refugees. Getting some maternity training ???? . To help @luquluqutribe and @refugees improve the health facilities for young mothers at Kakuma (Kenya) Refugee Camp Clinic please donate R30 by simply sending “LuquLuqu” to 42656 ... Thank you in advance ???? Actress and radio DJ, Thando Thabethe founded the Thando Thabethe Women's Netball challenge in 2014 and she's been raising money for charities and non-profit organisations that focus on the empowerment of women. Additionally, Thando is responsible for the #MakeItStop campaign and its role is to raise awareness for sexual and gender-based violence. Still one of my greatest achievements!!! Creating an event that allows us to put our heads and hearts together in an effort to make a change. It was 5 years ago that I started the Thando Thabethe Women’s Day Netball challenge, and to explain just how close to my heart this initiative is would be IMPOSSIBLE. Over the last 4 years we together have raised over R200 000 for Bethany home and Nisa Institute for women development. This years theme is #PlayingItForward!!! It could be a cause or a woman that you would be #PlayingItForward for. This year we are doing it for Masimanye Women’s support Centre!!! The #TTWDNC would not be possible without our amazing sponsors who help make this happen!!! With each year let’s make it bigger and better!!! Thank you to everyone that has taken part in this initiative and those that haven’t we look forward to seeing you this year. Comment with the #PlayingItForward and let me know who you’d be #PlayingItForward for??? Jazz songbird, Lira has been part of a couple of charitable causes. This year, she reportedly donated school shoes to her old primary school in Benoni. According to this article, Lira is one of several celebrities who support and contribute to Clover Krush's project for donating school shoes to school children in the country. Zodwa Wabantu, Lady Zamar, Bonang Matheba - where do we draw the line between critique and bullying?